Katie is facing the last day of fourth grade and is sad about losing Ms. Morgan, her favorite teacher. She also has a boring summer to look forward to, since everyone else seems to be getting away from Oregon and going someplace special for vacation. As Katie says goodbye to her best friend, Sierra Dymond, who is headed off to her grandmother’s, she walks home with her neighbor, Claire Plummer. Katie dislikes Claire because the girl always has to be right and everything must be perfect. Both Katie and Claire are being raised by their dads. Claire discloses her plan to get Ms. Morgan and her dad together, saying she needs a mom and Ms. Morgan would be perfect. Claire’s mom died a few years prior, and Katie’s mom and dad divorced so her mother could become a country and western singer. Katie doesn’t like the idea of her teacher being Claire’s mom; she wants her own dad to fall for the pretty, young woman, not Claire’s. Through Claire’s scheming, she tells Katie that Ms. Morgan frequents the public library. The girls, along with Katie’s younger brother, Tyler, head there in hopes of running into her so Claire can tell her about her dad. When Mr. Jordan informs Katie and Tyler they may need to move this disclosure ups the ante for Katie to get her dad and Ms. Morgan together, thinking that may keep her family in town. But there’s a snag. Katie’s mom is performing nearby, and the three Jordans along with Claire, Claire’s dad, and Ms. Morgan are all going to attend the concert. If seeing them all will get her mom to want to return home, what will happen with Ms. Morgan? 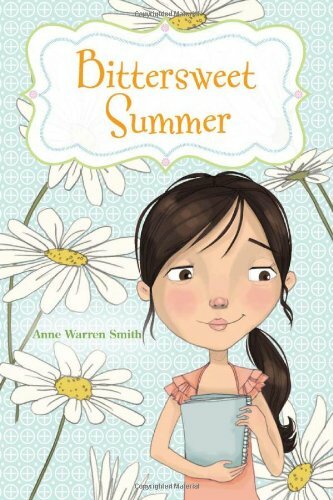 A sweet and tender story of relationships, family love, and life changes, Bittersweet Summer is a perfect sequel to Ms. Warren Smith’s other two books.